¬† Our “Spider” Syrian hookah. There are so many beautiful places that you could travel to, some safer or less than others. Cannibals have not been reported world-wide for about 60 years since dining out in the South Pacific on Fried Japanese soldiers who wandered away from their fellows and got lost. 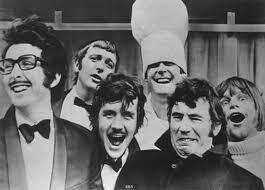 ¬†”Monty Python’s Flying Circus ” has an old way back in time sketch about fellow British Navy men cast away at sea in a boat for 3 weeks with nothing to eat. The Captain tells his men in a moment of nobility : “Well chaps, I’ve got gangrene in my limb, I’ll never make it- so you’d better eat me”. “”You don’t have to eat the leg Thompson, there’s still plenty of meat on my arms”. “Well, I’d rather eat Hodgkins, Sir”. “Hodgkins : “That’s it then everybodiy’s going to eat me”. Thompson : “That depends on how you kill him, Sir” ! I must be a real cow¬† brain if this is what I have in my memory cells . (I’ll bring it out to you one time). So I have the ideal place of intrest to all you on the lookout for a great place to travel, beautiful views, wonderful weather with zero chance of rain or cloudy days, beautiful people and you don’t hafta schlep your real best buddy, the hookah along. Cuz, if you cannot smoke shisha, who wants to pay good money and suffer? You’d fly to Greenland I’ll bet if you had a strong hookah, an extra glass base and a large supply of coals and shisha tobacco. Oh yes, and one wind cover will do ! The place I have in mind , you won’t want to bring your narghilah, since you can buy there an even better one with many varieties offered. The price will be more or less exactly like you’d expect to pay online ! But no shsiha in your suitcase . Didn’tI say beautiful view, beautiful people, and no chance of rain? 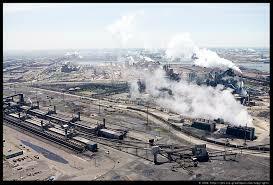 In Gary, Indiana the air is so thick with sulphurous acids from the steelmakers of the MidWest, rain evapourates¬† 2 kilometers¬† above in the atmosphere. See that stretch of HighWay? Now I prove my utter worldliness. If you were to take the photo and enlarge it (Which I will do so that I don’t seem a fool), you will see I-94 the interstate highway that reaches from Milwaukee,Wisconsin and probably Daluth ,Minn. also, south to the “Windy City” of Chicago , skirts Lake Michigan south and slowly east where you MUST hold your breath in the confines of your own car until you pass Gary,Indiana and head north-east to Kalamazoo, Michigan which is worth the stop unless you go on 40 minutes to Battle Creek on I-94 the home of “Kellog’s Cereals” and “Post” cereals. If you are a Detroit Tiger fan, keep going east on I-94 to Motown, Detroit City,on the Canadian Border of Windsor Bridge.I blew the photo to gigantic size and its a bad print, but yeah, the right hand lane goes north east on I-94. WHICH IS NOT MY real IDEA of a FUN TIME. Here is my suggestion- and here is the map.Look at the southern -most point to find it. 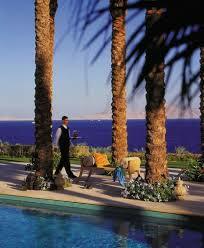 Sharm-El-Sheik is in Egypt, the southern tip of the Sinai desert. 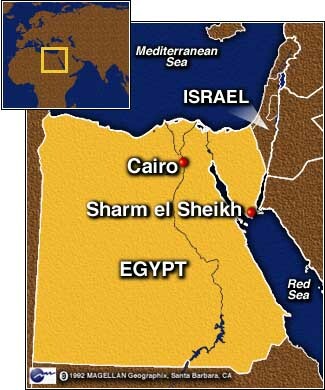 The Sinai Desert notice is south of Israel and Jordan, 3 times the size of Israel. Besides Sharm El-Sheik and DiZahav¬† more north on the same coast, you¬† will find no so-called civilization like burger king andMcDonald’s, Pepsi and Coca Cola for sure but who wants to pay $567 dollars for a bottle of warm Coke in the midst of a desert?”That’s what the market bears”. 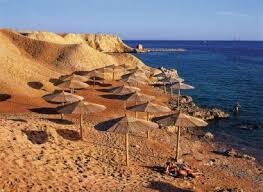 North of Sharm el-Sheik you will find Gebel Musa (Mountain of Moses in Arabic) or the supposed Mount Sinai. Right on the beach off the coast a bit, or going to the nearby Islands is supposed to be some of the world’s¬† best scuba diving. I don’t scuba dive, and for that you need a “hookah” hardly an original name, but the scuba divers stole the name from us as a name for some great air apparatus. I’ve seen photos in National Geographics from 40 years back underwater here by David Doubliet who I read some where died recently. He went back there a number of times to dive, collect and shoot beautiful photos under water. The fish their are tropical, have no teeth and are amazingly colourful. Now you are probably asking yourself how a world class chump like me know about Gary, Indiana but where does he get to mouthing off about the Red Sea Coast? The truth is, I never flew there, or took a bus, or drove .And there are no trains going there. I didn’t swim either. I just put my nose in the air, looked due south and followed my thumb or finger as they do in the Middle East. Lets get back to hookahs. There are tribes of Bedouin who don’t consider themselves Arabs, but are all Moslems. They could be what was left of the time 3,770 years ago and even before, while Israel were ¬†still slaves in Egypt of the “Nabatean” civilization. In english they are called Nabatean. In Hebrew Navat (Nabat) is a wanderer, and also means I forget in english, yes “Navigator” as in ship navigator, airplane navigator, or navigating the desert. Hey…lookee here NAVAT in Hebrew NAVIgator¬† in English.Same root word and that’s no coincidence.Like “Jubalee” in english is Yuval (Yubal) in Hebrew.We can interchange the Bet to a Vet. (B to a V). And the Bedouin sure know how to navigate the Sinai Desert.On foot, camel mostly and jeep too. 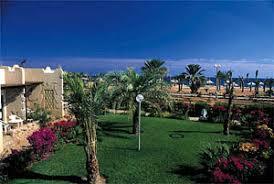 Now I¬† can and will show you pictures of Sharm El-Sheik which again are only on the Sea coast of the Red Sea. Tourists from Egypt, Israel, Jordan, Europe, come in on planes. Lucky strike for them. This is a kilometer from Sharm El-Sheik.See?Nothing but desert one kilometer from all the rich hotels and night clubs.Thousands of hookahs on sale, great shisha tobacco at lower prices than you pay in Europe or America, but while you CAN bring your hookah home through customs and¬† not get hassled at all or pay a cent in tax since they see hookahs all day long in customs and know that they are cheaper a bit.Do not bring any shisha.It sounds like hashish, smells exotic, right? And of course has fruit, which is not nice to bring into any country fruit from abroad! Smoke a lot of shisha in Sharm El-Sheik, see the blue sky as wide across as Texas. (There I go again), The¬† mountain range of the African Divide which I mentioned in a previous post as the Moab range. This is true , but the African Rift range encompasses it all down to Sinai. If you know who Ricky Martin is, please raise your hand.I don’t. Looks like a front shop for exchanging foreign hot, warm, and cold currency which must come there from all directions of the Middle East and Africa. 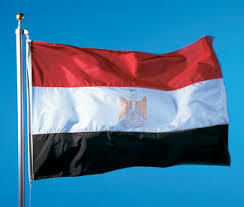 Flag of Egypt : These are for the hookah smokers I’ll bet! 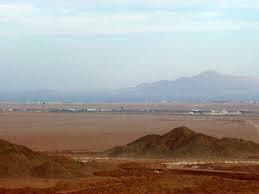 Here you see the airport in the middle of the desert. 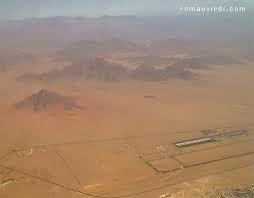 Sharm El-Sheik from the plane view. A swimming pool?Would you bring your own ground wheat to Iowa usa or the Ukraine? Would you bring your own sandwhich from home to a restaraunt? 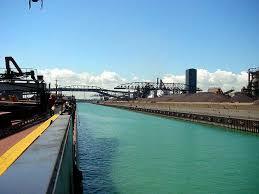 There is no industry except tourism 100% to pollute the water. 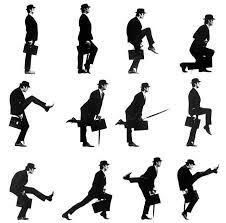 Did you ever see a fish pish? Not even from the diving board! this water is clear as daylight. 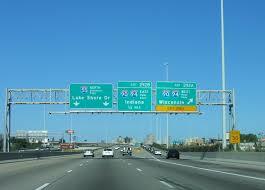 So you ask yourself, how it is that I know all about Interstate I-94 without peeking (honestly) on the¬†¬† search engines for directions, talk about the wide expanses of Texas, and get right down to the real nitty-gritty of the Sinai desert and Sharm-el Sheik. “El-Sheik” I knew what it meant, the Sheik or Chief. I was trying to figure out the word “Sharm” and anyone who speaks perfect Arabic can correct me, but a “Sharmouta” is Arabic for a a female servant (server)who has special talents. !! !So my guess is Sharm means the male version the “Servant of the Sheik”.I’ll look it up. In Hebrew too Sharet same root word is server. Now, I have passed through as quick as possibly at least 50 times Gary,Indiana, passed thru Texas as quickly as you can sing “Waltz across Texas with you by my side”. (Great song). And…I have never seen all of these hotels, palm trees stores or airport, but sure as heck have been a few times in Sharm El-Sheik. In 1972¬† I was on the Suez Canal shouting distance from Egyptian soldiers. We would wave during the day to each other. Poor guys had to do 5 years service and we only 3 years.I pitied them. What scared me the most was the plastic-nylon bags from our bags of sliced bread that got loose in the wind and caught down below by the water in the barbed wire.We would stand in a trench for 4 hours night time trying not to fall asleep in the heated wind so we drank liters of Turkish coffee to stay awake¬† which gave me the nervous jitters and then the rustle of a plastic bag on the barbed wire could be Egyptian commandoes. I was there around 4 months , but exactly a year later, in 1973 Yom Kippur¬† Holy Day which comes in a few days from now the commandoes from Egypt really did come, and in daylight too. I first got to Sharm El-Sheik in 1974 when I got out of the army and came back there again when my brother was¬† stationed on one of the missle boats there, his future wife was working on radar, and my sister was in the navy too as a sports director. We are all living in the same little village today near Bethleham in Israel. So Sharm El Sheik didn’t even have tourists then, just a group of young guys out of the army making big money comparatively building roads from Sharm El-Sheik up north to Israel. 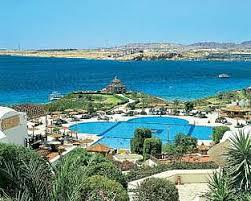 I think these white houses were navy dormitories, and this is about a kilometer away from Sharm as I remember it. If you are Israeli and reading this, I’ll finish with a true joke. p.s. I have a mountain named after me in the sinai desert off the coast north of El-Tur which you can see on the west coast of the southern side of the Sinai.I was (Again) back in the army this time as a reservist on the Red Sea, 7 of us in a tent on the Red Sea.This is around 1976 right before I married.I was given permission to go on a hike.I skirted the coastal road and put¬† my rifle on my back, and started to climb a typical Sinai hill whcih is very sharp and rocky.A stones throw from the Red Sea..Well I climbed higher to another ridge and to another and another where I judged that I would get a beautiful view of the Red Sea from high above. No summit, so it was a choice of going down these very sharp rocks or reaching the plateau and…oh hell I was quite adventerous then, but still as dumb as today. It got darker as I climbed higher and higher and higher..Finally night time. I took out 3 bullet magazines and emptied all the red tracer bullets into one magazine. Tracers are so bright red and travel really slow from far away like a 2 kilometer¬† laser light show at night. Sure enough the guys in the patrol, only 6 left besides me came in 2 jeeps along the coastal road. I shot a burst of¬† tracer bullets directly¬† above me so they’d know my position, and they yelled with a horn that they’d be back in the morning. Well, it was about 8:30PM and morning was yet a long while. I noticed that I was actually laying on a very small ledge on this hill-mountain¬† way above the Red Sea lapping waves at the foot of the road so peacefully.I was afraid, no, certain that if I fell asleep and rolled a bit, I’d end up quickly on the road far below smashed 20 feet from the sea. Then during the night I decided that I would talk my¬† 2 years girlfriend into marrying me. I was 23 and she 19 on our communal farm.That’s how it ended up! 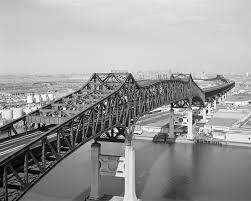 !When morning came and I saw how narrow the ledge was, and¬† how high up I was, it was even scarier.A few hours later some guys from another unit called me from above not too far at all with ropes in their hands, snappling we call¬† it.Same in english? And I more was pulled up than climbed even though I had extremely strong legs from years in the infantry, and running long distance as a hobby, on the ledge all night I was cramped physically and emotionally too. They jokingly called this mountain Jabal Mussa .Like I said before, in Arabic Jabal is a large hill or mountain.Mussa is Moses and my first name is Moshe (Moses-Mussa).It means to draw out or take out just as Moses was called by the daughter of Pharoah who drew him out of the water.Pharoah’s daughter was called “Batya” “The daughter of G-D” which is my eldest granddaughter’s name too! No fiction, no embellishments only facts have I written here! 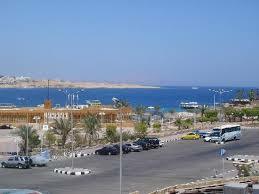 Below is Sharm as it was in 1976. Hookah 1¬† This is S. Katherine’s Church-Shrine where suposedly the mount Sinai is, but the Torah states that G-D hid it physically after the Revealing of the Torah to Moses there and Moses Gave it to the Israelites. Anyhoo, you can see what I mean by shaggy, sharp rock ridges, and this is a far away picture. This is exactly what “My” mountain looks like, but its a coast 8 hours drive or so straight from Sharm to southern Israel, and the same north west toward Egypt.. I was on the West Sinai coast (See the above map) north of El-Tur about an hours drive by jeep and across from Abu-Rhodeis,Egypt.Boy did I have one great holiday there in the army that time around. Tenting out, 7 friends, 50 meters from THE beautiful toquoise-blue Red Sea.Guard duty was a pleasure, we climbed up a bit some rocky steps and just loked out at the peaceful torquois-blue “Red Sea” which is really in Hebrew¬† “Sea of Reeds”. Some topographer dropped an “e”. Sharp, jagged ridges.For me its been 32¬† and a¬† half years in my past. Who trim’s Abdul Rachman’s beard so well? This takes real talent both for the horse and the man. I ‘ve seen this online for more than a year. If you are viewing it, this means that the cheif censor okay’ed it. Aestetically its beautiful, and as a hookah smoker all the¬† more. That is an ineresting story. 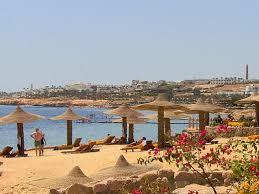 I was touring in Sharm El Sheik 2 years ago. Yes friend like you show in the photos it is even more beautiful place. 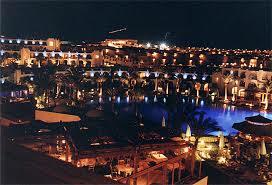 Wonderful town of Sharm El Sheik. 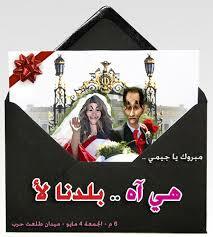 Many Arab tourist come its true. Very good atmosphere to relax.Yes you can buy good shisha pipes there and nakhla is fresh in the big round containers. It is so pretty there, and the islands for diving. Lots og the nargeela smokers only go south as far to Di Zahav and campout cool it on the free beach, no hotel to pay for, but you are inside the view. And I thought that Sinai is in Iran somewhere. Good thing you wrote here. Sounds like a fine place to smoke and chill out.